● preciously advices for the proper choose of your AGP graphics adapters you find in our decision-making support. Make sure that our item no. 394 is the right for you. With this supply ID 394 we offer a Graphics Adapter in pristine tested condition with perfect function. Please check your mainboard manual if this item High-End Graphics Ati Fire GL2 VGA+DVi ID394 is right for you. 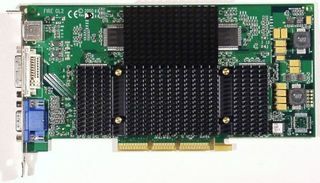 Of course we will help you to find the right one AGP Graphics Adapter. If you are not satisfied contrary to expectations with this item no. 394, we will in any case try to find a solution that meets your requirements. with item no. 394 you will receive an item in best shape. first in June 2004 this item 394 was attached to our stock.